You frequently ask what’s the best hair oil. This entry’s aim is to resolve all doubts and clarify all issues concerning oil hair treatment. It took me ages to learn the fundamental rules of proper hair care. It wasn’t that long ago when I introduced natural oils into my daily beauty rituals. Now I know what is the greatest mistake that women do. If we can’t notice any improvements in our hair condition and the looks fast enough, we are getting put off by a certain treatment and stop applying it any longer. And the oil hair treatment requires patience. Also, the first attempts of carrying out the procedure frequently end up in a failure because of, for example, the use of a mismatching oil, improper method implemented, or lack of the basic knowledge concerning the treatment. Girls, remember onec and for all, it’s the persistence that counts! My struggle with oils can be summed up in the following way – 9 duds out of 10 tried oils. Among them this one pearl: Nanoil – natural oil for porous hair. ‘What hair?’, you would ask. 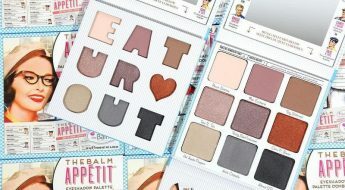 Let me encourage you to read the review so you will learn everything you need to know about this magical product. Nanoil hair oil is, as the producer describes it, ‘the power of nature.’ This is a unique combination of natural oils which are just in right proportions, and together with precisely selected additives they serve hair really well. The advantage of this product is the composition containing neither parabens nor silicones, which is a real treat for all the natural hair care fans. Nanoil for Low Porosity Hair – a perfect match for thick hair that lacks volume, takes long to get dry and is resistant to curling. This kind of hair is typical for Asian women. 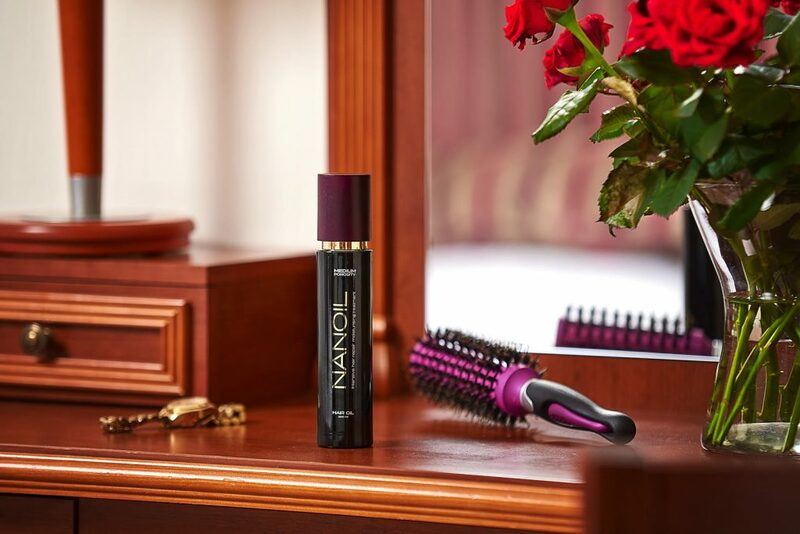 Nanoil for Medium Porosity Hair – designed for the most popular hair type, with the tendency to be affected by frizz, wavy, dull, dry, and sometimes falling out too excessively. Nanoil for High Porosity Hair – a ‘first-aid kit’ for distressed, dehydrated and brittle hair that is dull, falls out in galore or is exceptionally curly by its nature. Depending on the chosen version, there are 6 up to 9 natural oils extracted from plants that work in favour of hair health. This diversity didn’t happen by a coincidence since the ingredients match particular hair structures. Different set of oils is needed by hair which structure is smooth, and other set of oils suits hair that is damaged. 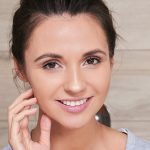 However, what connect all three versions are the vitamin complex, caring substances, sunscreen and substances responsible for stimulating hair growth and slowing down excessive hair loss. 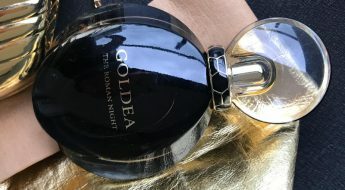 Here is the important note on the fragrance, price, availability and other practical information concerning the product. Nanoil hair oil is available on-line for a fairly reasonable price when compared with the list of ingredients it offers, the action and the design. The hair oil looks really astonishing although the bottle made of black glass featuring a wooden cap has one disadvantage. It gathers fingerprints easily. Nevertheless, this inconvenience is compensated by the way-out fragrance which I can’t even describe to you. I’ve chosen the second version, for Medium Porosity Hair, because my strands face one serious problem – they got horribly frizzy when the humidity is high, so for example in rainy days. Thanks to Nanoil brand, I’ve learnt that this state is strictly connected with the hair cuticles being open too widely. Since this ‘armour’ doesn’t provide my hair with effective protection, the strands lose water fast, are rough and hard to tame. Undoubtedly, the hair oil restores health to my hair. First and foremost, it takes care of proper hair nourishment and moisturisation which translates into hair’s softness, smoothness and thickness. Owning to the possibility of applying the hair oil directly to the scalp, the cosmetic strengthens hair bulbs and counteracts excessive hair loss, which I was lucky to experience myself. Instead of a handful of hair, now I lose just one or two hairs per day. Secondly, Nanoil also accelerates growth of strong, resistant to split ends, elastic and thick hair. A hairdo wins volume without the effect of continuously frizzy strands. It’s a very good hair styling oil because it doesn’t only protect hair against the high temperatures generated by a blow-dryer, for example; but also it accelerates the drying process, facilitates hair styling and fixes the effects. 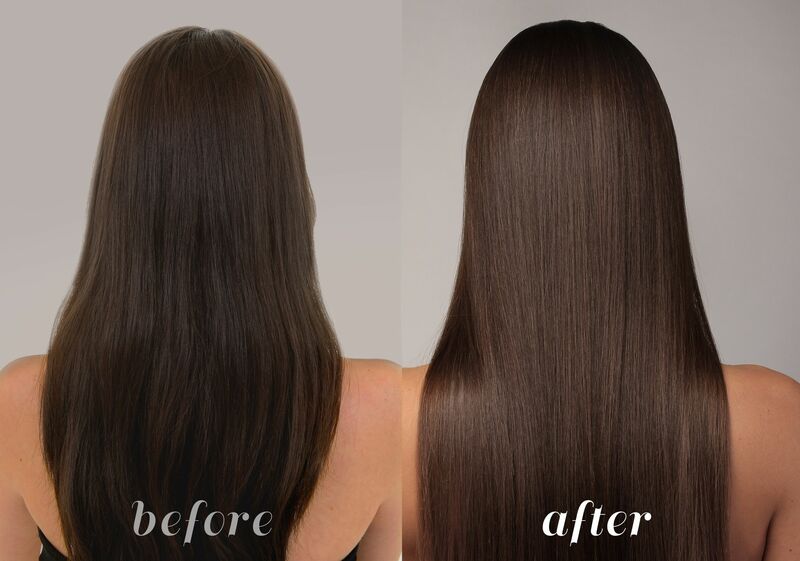 The outcomes become clear to see just after the first application of Nanoil, which in fact adds shine and lightness to hair, despite its oily formula. There are not objections to the way the hair oil works. I dare to believe that the two remaining versions of Nanoil have a similar impact on hair by focusing on other hair problems, certainly. How do I use Nanoil hair oil? For the most intensive effect, the producer recommends applying Nanoil to damp hair and the scalp, let it sit for at least 1 hour and then rinse. Anyway, I learnt that Nanoil can be used in more ways than just this one. Usually, I apply the oil in the evening, when I’m going to wash my hair the next day. I rub a few portions into the scalp, also distributing the product through dry hair which I tie in a loose bun. I go to sleep enabling the nourishing substances from the oils penetrate the hair overnight. In the morning I wash my hair as regular. When I have more time at my disposal, I gift my hair with an intensive nourishing treatment. This means that I wash my hair precisely with a strongly cleansing shampoo. Then, I apply a few portions of the oil to the wet hair. Of course, a massage a few drops of Nanoil into the scalp, too. Next, I wrap my hair with a damp with warm water towel and wait at least an hour (sometimes even longer). After that, I wash my hair once again but this time I use a regular shampoo. The third way is the version for people who are always in a hurry. I always apply this technique when I don’t have enough time to rub Nanoil before hair washing. Therefore, once I wash my hair in a normal way, I get a really small amount of the oil (literally just a half of the pump), distribute it onto my palms and press it into my damp hair, right before blow-drying. 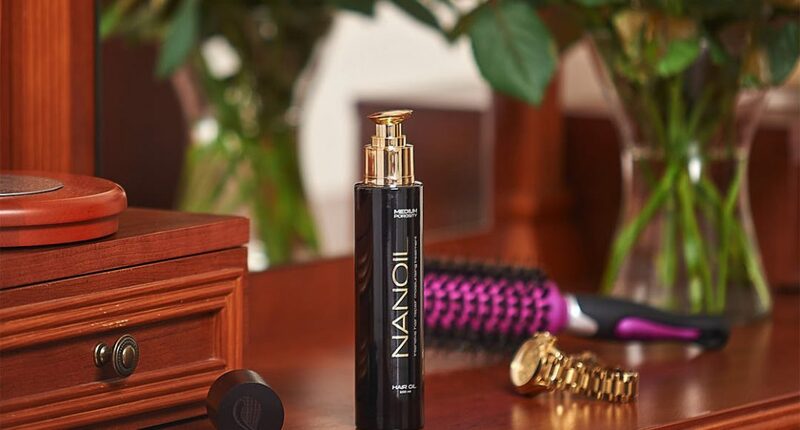 This small quantity of Nanoil is enough to make hair styling way easier. And this is how my adventure with Nanoil looks like. I can confirm that Nanoil is a cosmetic designed for hair of various porosity types which I recommend to every woman who expects luxurious, concentrated, natural and effective support for her hair. Girls, have you ever given a go to one of Nanoils? If yes, don’t hesitate and share your experience concerning this hair oil in the comments blow. 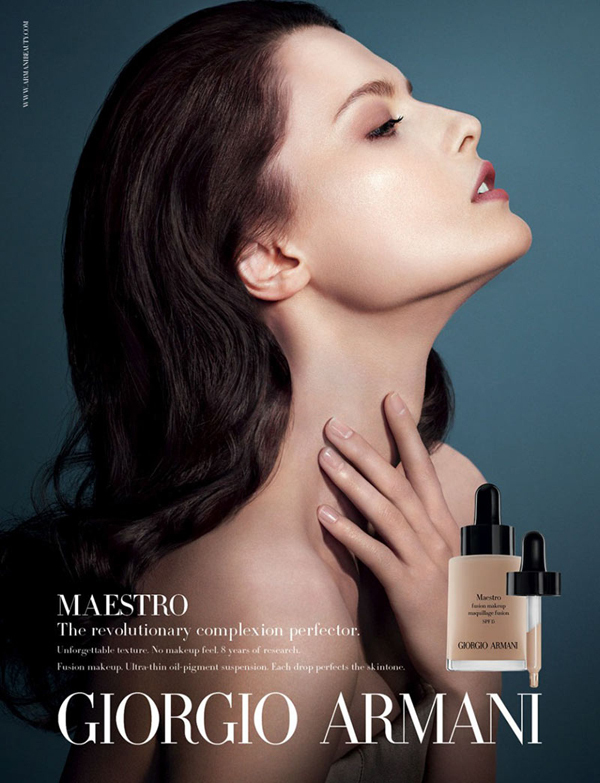 Finally, back to the nature, more and more cosmetics free from paraben, silicone, alcohol and other harmful substances! Good, very good! My hair got damaged because of years of dyeing and bleaching, using a curling iron, is there a change that this oil will help even just a little? I am very happy I could help you a bit 🙂 go ahead and text me, I’ll do my best to answer every question:) leave a comment! Cosmetic created for girls who often bleach, color and straighten hair.